We created a portable exhibition design that allowed Sphere to take their brand out to the public. 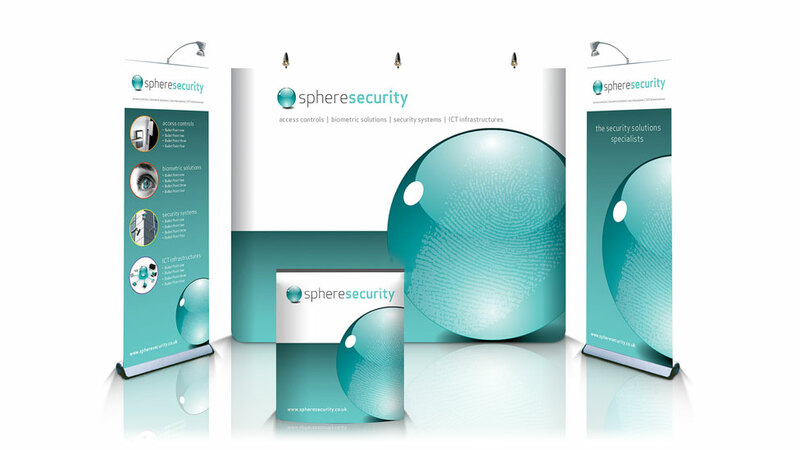 The portable exhibition design was one of the major elements of creating a new brand for Sphere Security. 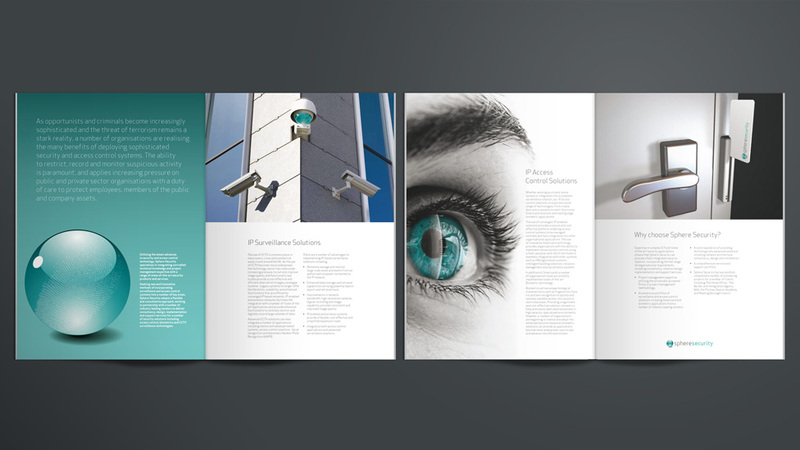 We had already created the company website, brand, sales brochures and data sheets. The next step was to create a portable exhibition design to allow Sphere to take their brand out to the public. With a variety of exhibitions, trade shows and meetings attended each year a portable exhibition system was essential. Easily transported in the back of a car, the portable exhibition system comprised of a pop up exhibition stand and two roll up banner stands. The whole exhibition could be erected by one person in less than half an hour. We took full advantage of the large graphic area provided by the portable exhibition system, using big bold graphics, combined with strong use of the Sphere Security brand colour. Crisp modern typography and dramatic black and white photography completed the look. To ensure we utilised every element of the exhibition system we designed an additional graphic which wrapped around the storage case. This, when complemented with a foldable countertop, provided a full branded podium perfect for a laptop to display their sales brochure.